Party's court indicates decision to expel Jews from Hevron building was wrong. Members will vote on whether Yaalon should be fired. The Supreme Court of the Likud Party has ruled that the party bodies must hold discussions on the "failures" – in the words of the petitioners – of Defense Minister Moshe Yaalon in his expulsion of Jewish residents from Beit Rachel V'Leah in Hevron. The court ordered the Likud's Central Committee, Diplomatic Desk, Management, Secretariat, and Knesset faction to conduct the discussions. The participants will vote at the same time on a proposal to call upon the Prime Minister to fire Yaalon. The Court also ruled that discussions must be held on a proposal to call upon the party's Knesset Members to act immediately to reverse the decision to remove the Jews from the legally-purchased property in Hevron. The ruling was handed down in response to a petition filed by six members of the "Likud Land of Israel Loyalists" group, headed by Attorney Aviad Visoly. The six had demanded Yaalon's suspension from the party, based on a most unusual clause in the party constitution: "A Likud member who provides aid to an opposing political party is to be suspended from the Likud for two years." The petitioners claimed that Yaalon's order, this past January, to remove the Jews from the house they had legally purchased helps the country's left-wing parties, which seek to liquidate the Jewish settlement enterprise in Hevron. 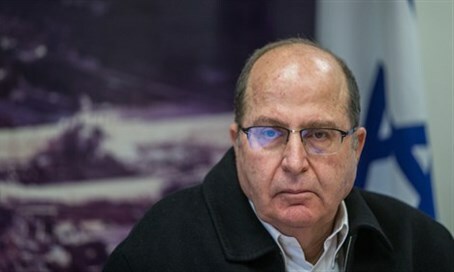 The Court ruled that Yaalon's decision to remove the residents is worthy of a "piercing debate" regarding a reversal of the decision or the prevention of its recurrence. The Court itself is not the proper venue for such, according to the party judges. They further ruled that it will ensure that this debate is in fact held in the above-mentioned party organs. Visoly has asked that the relevant bodies be convened, within seven days, for the purpose of court-ordered discussions and debates. The proposal will be raised in the Central Committee and in the Secretariat to call upon Prime Minister Netanyahu to fire Yaalon.